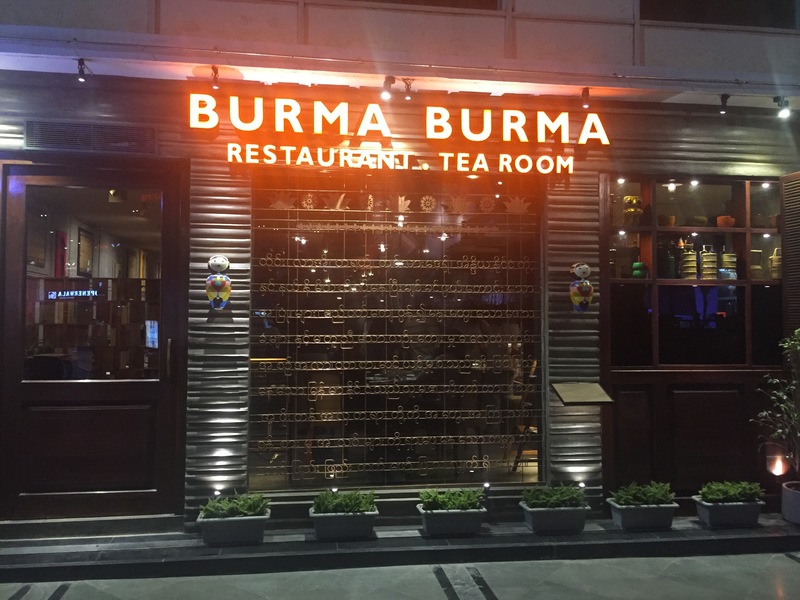 Burmese Food and its awesomeness have a new name in town, a restaurant that is making its place amongst the biggies at the DLF Cyber Hub Gurgaon, has given a new venue to the Burmese cuisine lovers. Burma Burma Restaurant and Tea room was a great place to hangout post the long and tiring week. Being a non vegetarian I never thought I would rate or highly praise a vegetarian restaurant which serves authentic Burmese delicacies. A medium sized restaurant just appropriately designed to represent the simplicity of the cuisine it has to offer, however the courteous staff and the delighting presentation of the food adds the luxury touch to the whole experience making it a place to hangout with friends or family. 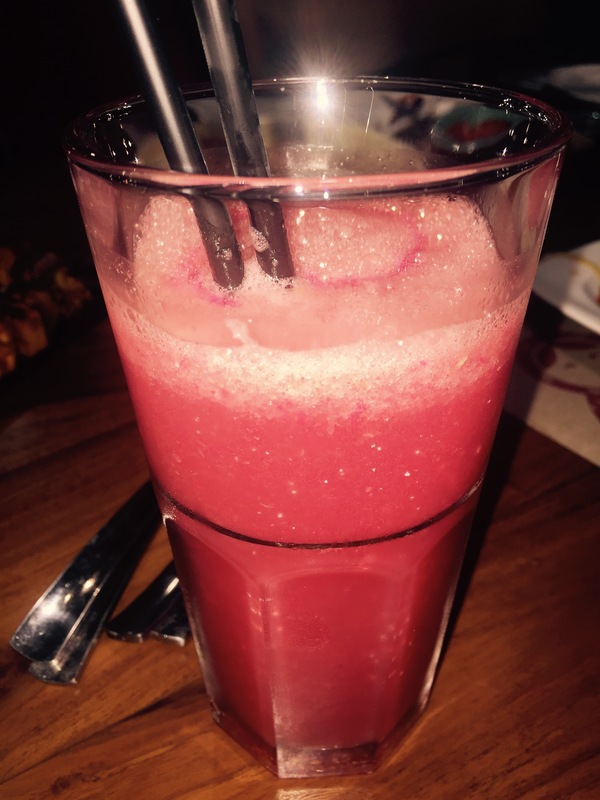 Water Mellon Burmese Cooler – the mock tail you may not find every where. The unique mix of fresh Watermelon juice, cherries and cranberry juice is a drink fit for anyone looking to sit back, relax and re- energise. The instant kick would just rejuvenates the body in seconds. Shangri-La Green Tea – was just muaaahhhh. The green tea with a peach aroma (all natural) was just wow and the serving was rather an adventure. The tea served has to be kept at the table for 3 mins timed using the hour glasses and then served. Well it’s worth the wait I must say. Tahu Soup – is a must try for people looking for authenticity and richness of the Burmese cuisine. 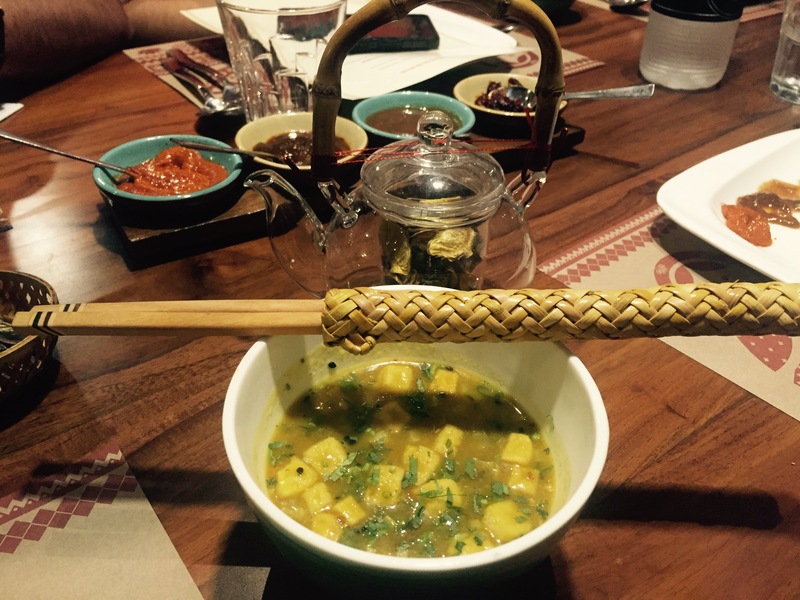 Made from bean curd and chic pea tahu will make your mouth water, mildly spiced and perfectly balanced this is not a conventional soup we taste in our day to day routine. 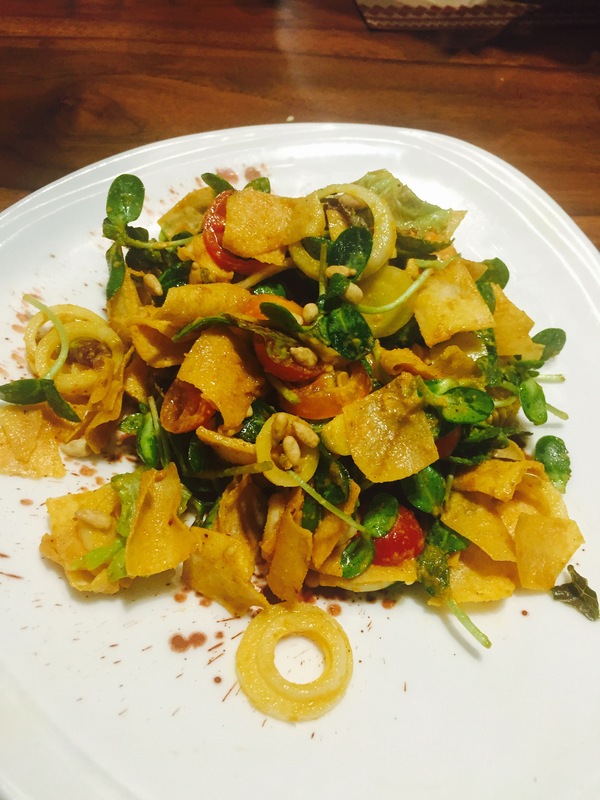 Sunflower leaf & Crispy Wheat Flakes Salad – fresh, balanced, healthy and yet tasty is what describes this dish. While the chef also served a Tea Leaf Salad, but this one was just different. Fresh leaves roped up with mild herbs and crispy wheat flakes made it simply stand out. 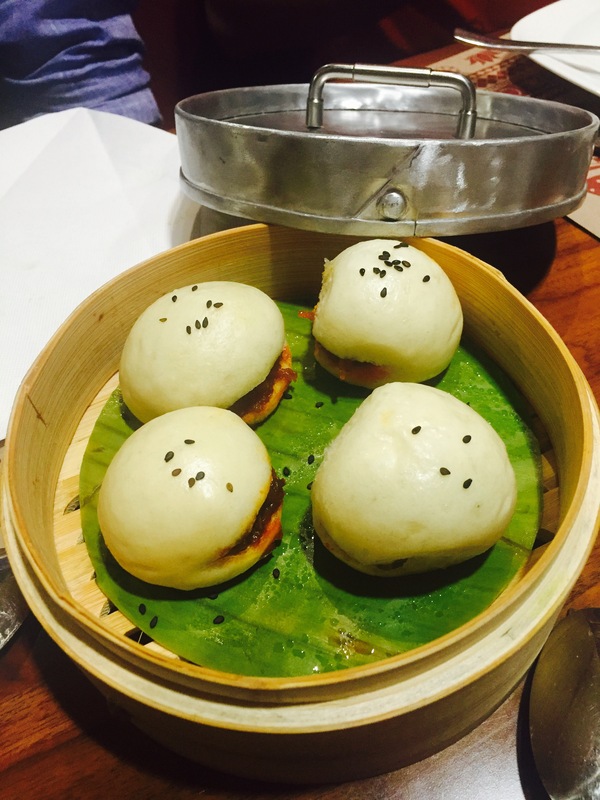 Brown Onion & roasted Chilly Steamed Buns – while the name defines the dish it does not do justice to the flavours and softness of the buns served. This was the best dish on the table and a must must try. Shwedagon Khowsuey – Burmese food cannot be complete without the Burmese specialty “Khowsuey” ( a noodle dish). 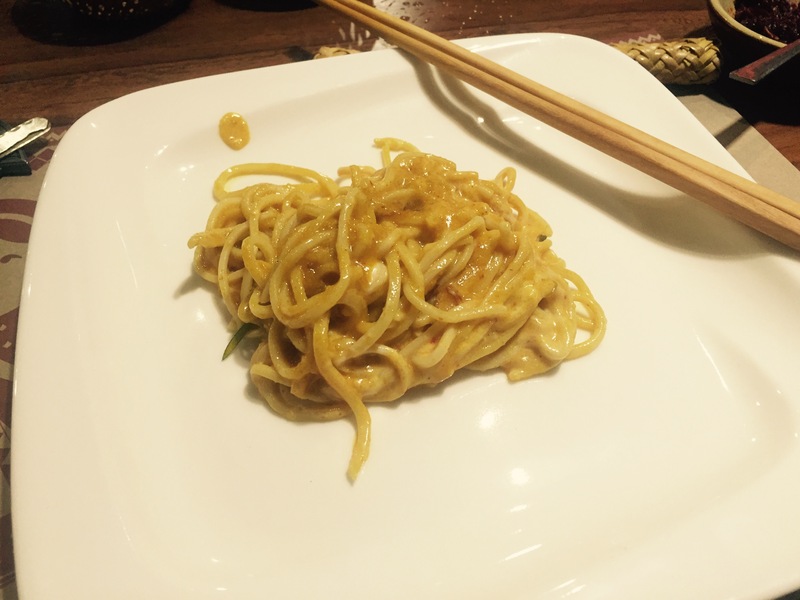 Rich soft and filled with flavours this a one of the best Khowsuey I have tasted in Delhi. Perfectly cooked noodles topped up with the right quantity of the sauce brings out all the flavours. 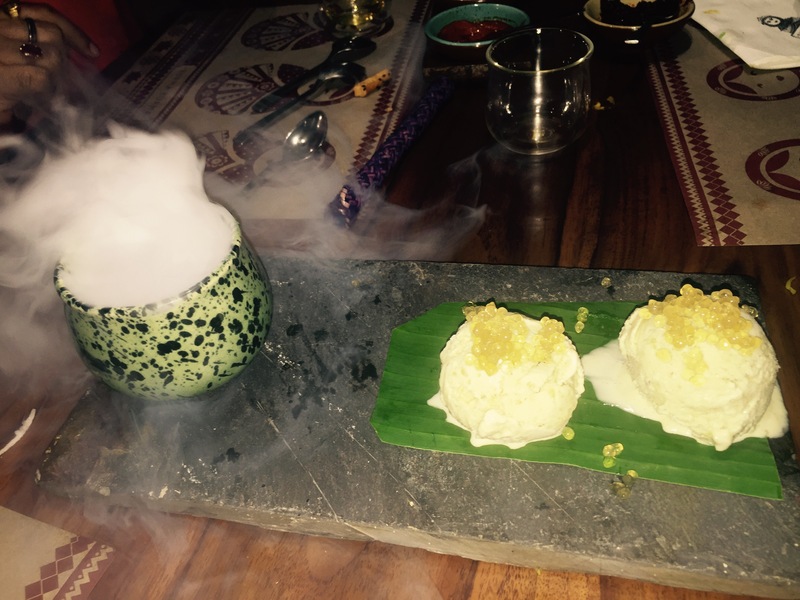 Durian Ice Cream – well my mouth still waters with the after taste of this wonderful creation. The combination of Avocado Ice-cream and Sapo seeds was a surprise package. The Ice-cream would simply melt in your mouth releasing the wonderful taste of the Avocado creation. It is simply out standing and a must try. 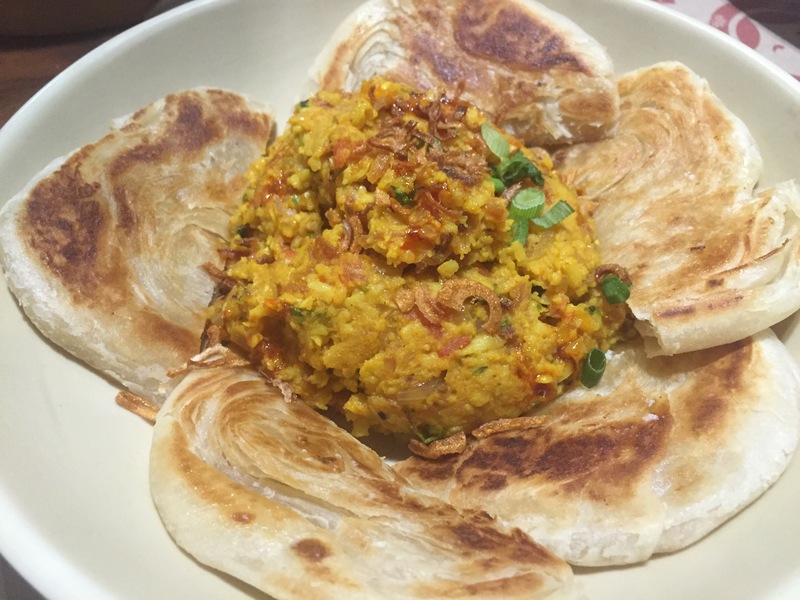 While the restaurant served other dishes like Samuza Soup, Burmese fried rice and much more the above dishes are worth the money. The place is not very expensive, the experience, simplicity and taste of the food would surely be worth while. I would rate this restaurant a 4/5. And recommend a visit. Great review. Was there recently and just posted my review of the place. I didn’t k ow they had Durian ice cream – must have missed out on it. Still, of the nicer and different places in Gurugram for a change.